These cabins have a double bed and 4 singles in bunk bed style, they have a basic kitchen, dining area and tv but the do not have an internal bathroom, guests have access to the park amenities. 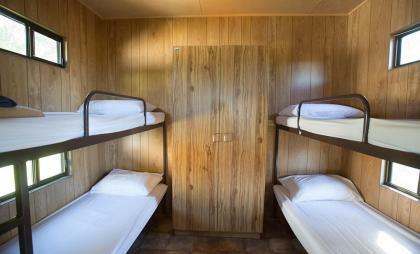 A one bedroom unit with a double bed and 2 sets of bunk beds. 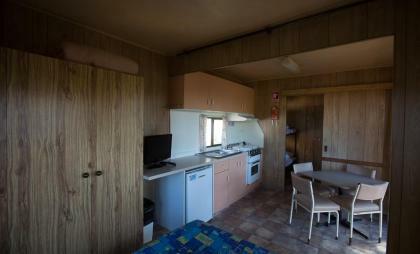 Includes kitchenette with table and chairs. Close to amenities as does not contain ensuite. 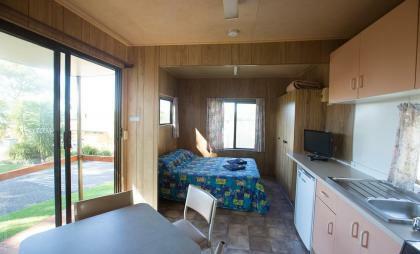 Budget cabins, great for groups or short term stay.